An affiliate of the Related Companies has emerged as the initial bidder for the Palm House Hotel as the failed condo-hotel project heads to a bankruptcy auction. The stalking horse bidder, RREF II PALM HOUSE LLC, has the same address as Related Companies in New York and is led by Related Companies Managing Principal Justin Metz, according to a filing in U.S. Bankruptcy Court. The company is offering $32 million for the property, which will set the floor price for a bankruptcy auction scheduled for next month. Bids at the auction will start at $32.5 million. The 79-unit condo-hotel project on Palm Beach Island stalled in 2014 and its former developer now faces allegations of fraud by the Securities and Exchange Commission and a group of EB-5 investors. In August, the property filed for bankruptcy under its court appointed receiver with creditors claims totaling $115 million. Cushman & Wakefield’s Robert Given, Errol Blumer, Michael Mulkern and Robert Kaplan are the exclusive marketing advisers for the property. The auction is scheduled for 10 a.m. on November 16, 2018 in West Palm Beach. 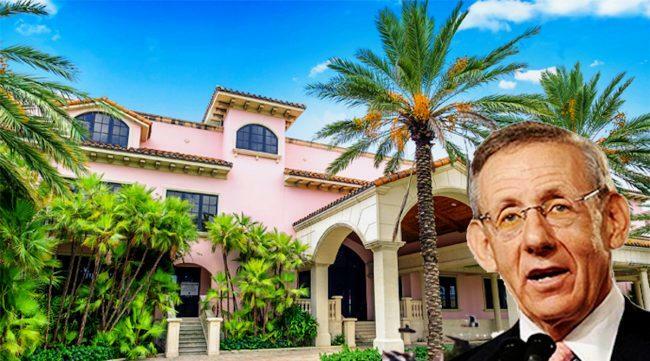 Given said he expects the property to sell for up to $40 million and it could be the last opportunity for a developer to own a hotel in the wealthy enclave of Palm Beach. He said the next owner will likely not redevelop the property. Instead, the best option would be to continue renovating the existing project which could take more than a year to complete, Given said. By auctioning the project through a bankruptcy sale, it will be offered free and clear from any liens. The bankruptcy also means that the new owner will not have any responsibility for the issues stemming from EB-5 investors who had invested in the property. The 82,648-square-foot project was first developed in 1961 and expanded in 1981. The property was set to be renovated by a group led by developer Robert Matthews. Matthews then raised $44 million from EB-5 investors, according to a complaint by the Securities and Exchange Commission. EB-5 is a federal program that allows foreign investors the chance to gain a green card if they invest at least $500,000 into certain projects that create at least 10 jobs. The SEC’s complaint said, however, that much of this money was misallocated to pay for Matthews’ personal expenses. Some of the funds allegedly went to pay for Mathews’ Connecticut home, his 151-foot mega yacht, as well as to save his Palm Beach mansion from foreclosure, according to the complaint. In a separate lawsuit filed by a group of EB-5 investors, the development group claimed that famous celebrities and politicians such as Bill Clinton, Donald Trump, Celine Dion and Bill Koch – would serve on the Palm House’s advisory board when, in fact, they did not. Related Companies, led by Miami Dolphins owner Stephen Ross, developed CityPlace West Palm Beach. The company is also proposing to build a 25-story office project called One Flagler in downtown West Palm Beach.